There’s a first time for everything in a person’s life: The first time they write a weekly movie column for 411mania. Also the first time they write their second weekly movie column for 411mania. Then there’s the first time they write the fourth edition of their second weekly movie column for 411mania. That’s what this is. Last week Aaron gave me sight, ironically, as he opened my eyes to the show about a blind superhero, Marvel’s Daredevil, and I thoroughly enjoyed it. This week I take Aaron out from under the proverbial rock for the 1992 Best Picture winner at the Academy Awards, The Silence of the Lambs. Michael Ornelas: Well first and foremost, I picked this for you this week specifically because NBC’s Hannibal is drawing to a close and I wanted to introduce you to the franchise with the best big-screen adaptation of the source material before suggesting you go on to watch the show, which is arguably just as good. But timing aside, this is a fantastic thriller/”horror” movie that has slipped under your radar for far too long, and I was excited to pick it because that just meant I got to watch it again. Aaron Hubbard: The quotation marks around “horror” are deserved. I’d definitely classify this as a psychological thriller, but that doesn’t mean it wasn’t terrifying. I’m actually struggling to find words for this one. It’s easily one of the best films I’ve ever seen, in any genre. Usually the reason I avoid movies with this much hype is because I know I’ll usually feel let down when the movie fails to meet my expectations, but this blew me away. Michael: I think a big reason that this movie is so great is that it’s the perfect example of a “slow build”. You take the character that the franchise is built around (Lecter) and put him in a cell, simply talking for the first half of the movie, and it’s just as compelling (if not more) as the scenes with action. Despite being the focal point of the movie’s plot, Buffalo Bob is not what viewers leave the theater talking about. It isn’t until Lecter escapes (in the best sequence in the movie) that they ramp up the stuff with Bob, and turn the intensity up to 11, and that’s done through Clarice’s reaction. She’s in over her head, but has a interminable spirit that gives her the strength and courage to push through and battle for the side of good. She’s essentially Link. Aaron: Except Link doesn’t talk. And actually, it’s kind of interesting that you say that. Obviously I have the benefit of watching this at twenty-five, which means I’ve lived in a world where Hannibal Lector is just a part of the popular conscience. I knew he was good. I knew he would blow me away. But I’m actually almost annoyed that I haven’t heard more people talk about Jodie Foster as Clarice Starling. Because as great as Hannibal is, it wouldn’t matter if that role wasn’t as good as it was. She’s simultaneously a surrogate character for the audience and someone with her own character and backstory. When Hannibal is talking to her, we see him from her point of view. He’s talking to us. When she’s talking to Hannibal, we see her from his point of view. Everything is so personal and in your face and that makes things stick with you more, I think. Michael: “In your face.” Good word choice. Michael: Which leads me to my next point: raw brutality. The juxtaposition of gruesome killing with a calm demeanor is what really makes Lecter so terrifying. The scene where he calculates exactly how to escape from a maximum security isolation situation is nothing short of amazing. From the pre-meditated ordering of a second dinner, to picking his handcuffs, to calmly murdering two guards in very gruesome ways, to placing their bodies where he needed them (one for show, one for practical reasons), to riding out on a gurney as someone else…he’s brilliant. And he knows it too. He has one of the largest egos of any character in movie history, but the ways in which he chooses to boast are…unconventional to say the least. What did you think of the iconic imagery of the officer whose body was positioned at the top of the cage to look like an angel? Aaron: I have a feeling that scene didn’t have quite the impact it should have had on me since it’s been ripped off in basically everything from Dexter to Batman. Still very cool though. What was cool for me was that he was a psychiatrist. I didn’t know that aspect of his character before now, just the “murdering cannibal” part. 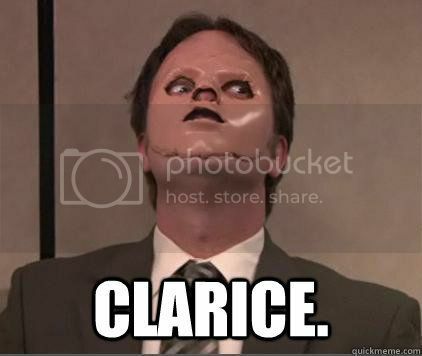 It was nice to see his psycho-analysis of Clarice be justified, rather than somewhat stereotypical “all psychopaths are criminal masterminds” tropes we often get. Probably because of this movie. Michael: I agree. I think the thing that propels this movie into its place among the all-time classics is the level of depth given to the main characters. 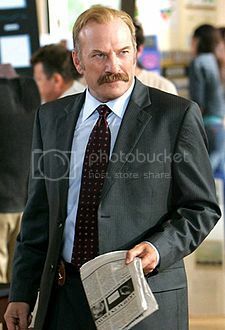 Even though we haven’t really talked about him, Buffalo Bob has just as much that makes him tick as Foster and Lecter. Yes, that guy, but with his junk tucked back. Aaron: Yes, definitely not a one-dimensional killer. I didn’t really get too much from Bill, he’s more of a plot device for me. But I mean, he’s got Oscar-caliber competition from the other actors, so that’s just bound to happen. I did appreciate that even in 1991 there was some conscious effort to not villainize trans-sexuality. Clarice and Hannibal basically say he isn’t actually trans, just very disturbed and confused; less than human. Reminds me of Red’s classic line about The Sisters in Shawshank Redemption. So, instant points in my book for that. I saw this movie for the first time when I was 17 or 18 I think, and have always been pretty hard to scare. But this got my heart pounding. 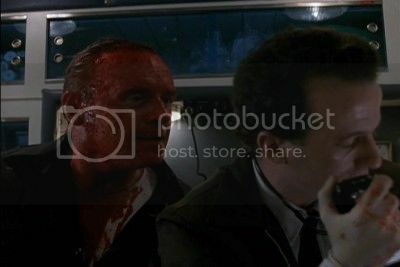 I had genuine concern for Clarice, and while I didn’t think this would be the type of movie to kill its main character, they certainly stacked the deck against her only to have her victory come at the hands of her precise reaction time after hearing the gun being cocked. It’s genuinely one of the most terrifying scenes I’ve ever seen in a movie. Aaron: Indeed. I wouldn’t have been surprised if she died honestly; it seemed like an impossible situation. If it weren’t for Bill’s hesitation to strangle her or something more practical, she would have been screwed. Very tense, very frightening, and even more so because it was shot from his perspective. If there’s one thing that really unnerves me it’s a POV shot from a villain who I genuinely hate and want to see get caught. The idea that even for a moment, the audience is the killer, is just terrifying. It humanizes them. Michael: Couldn’t have said it better myself. Michael: I say the following sweeping statement by comparing this movie to other Academy Award-winners, but not necessarily the field against which it was nominated: this movie deserved every award it won. Hopkins was absolutely fascinating in his portrayal of a character that is so exquisitely written, it would be difficult to bring your own sensibilities to him (yet he does in a major way). Foster played a huge range of emotions, and then suppressed every single one of them to play a character who is trying to prove to virtually everyone (herself, her superiors, and the viewing audience) that her resolve is unbreakable. The film is top-notch, and is the first “horror” movie to win Best Picture (and only the second to be nominated, with the first being The Exorcist), which is a major landmark for the genre, despite my use of quotes around it because this movie falls more in line with being a psychological thriller. It won Best Director as well, and you pointed out just how well the camera is used to build tension, so that one is a no-brainer. And rewatching the movie has inspired me to go read the script for it, so maybe next time I can speak to its Best Adapted Screenplay win. As it stands, this is a phenomenal movie, and one I’d consider an all-time classic. Do you feel NBC’s Hannibal did the legacy of this film justice? Let us know below! Aaron: Well, after three weeks of movies I’d consider more “fun” than cinematic classics, you sure gave us a heavy hitter. I’m going to counter with one of my own. One that’s relevant given the success of Straight Outta Compton, a movie that shows that race relations aren’t so black and white. I’m picking a movie that is black and white, and about whites deciding the fate of a black: 12 Angry Men. Michael: Are you allowed to say “a black”? Aaron: It was just to make the turn of phrase work. And editorial mandates. Michael: Fair enough. Well I’m really looking forward to this one. More because I trust you, than I am actually excited to watch a movie that’s almost exclusively dudes sitting around a table and talking. But I’m also going to request that, just for fun, you check out the Inside Amy Schumer episode called “12 Angry Men Inside Amy Schumer,” in which the entire episode is devoted to a counsel of white men trying to determine if Amy Schumer is attractive enough to be on television. 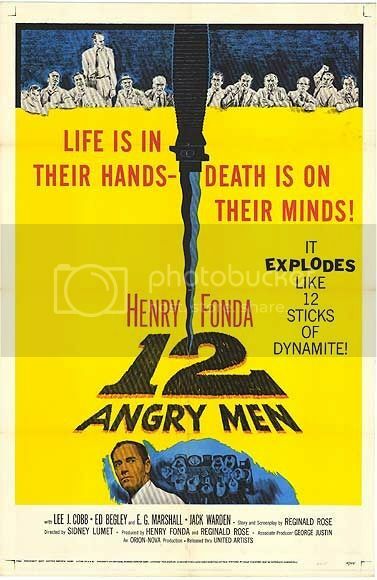 For those who’ve seen 12 Angry Men, what scenes do you remember the most and what effect did it have on you as a viewer? And if you want to read Aaron’s thoughts on movies, professional wrestling and comic books, check out The Shelf is Half Full. "The Silence of the Lambs" is one of the best movies either of us has ever seen. It's a classic that lives up to every statement of praise thrown its way and deserves every award it has received. 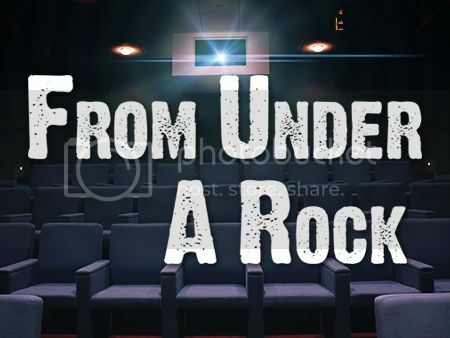 There's some legendary roles, with Academy Award-winning performances from Jodie Foster and Anthony Hopkins, captured by excellent camera work, and a great script; it's not one we'll be forgetting about any time soon.